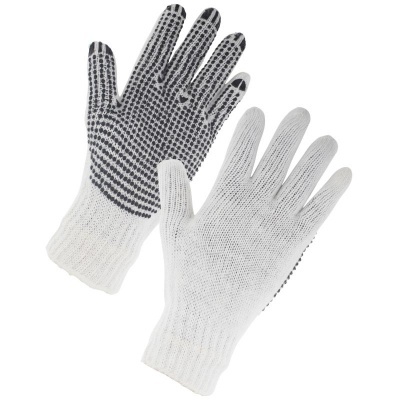 The Supertouch 2657 Seamless Mixed Fibre PVC Dot Palm Gloves provide exceptional grip and a comfortable fit, making them extremely versatile and suitable for a range of light to medium tasks. Their flexible design and secure ribbed knit wrist make them fit perfectly to most hands. The 2657 Seamless Mixed Fibre PVC Dot Palm Gloves are designated Category I gloves, which makes them suitable for minimal risks only.